Non-Executive and Non-Independent, Director since 2 October 2018. Dr. Kashani Al-Rakabi holds a PhD in Business Administration and Banking from the Humboldt University of Berlin. He is currently a Director General of Department of Economics at the Ministry of Finance/Iraqi Fund for External Development in the Republic of Iraq. He is also an Assistant Professor of Business Administration at the University of Sumer, Republic of Iraq. 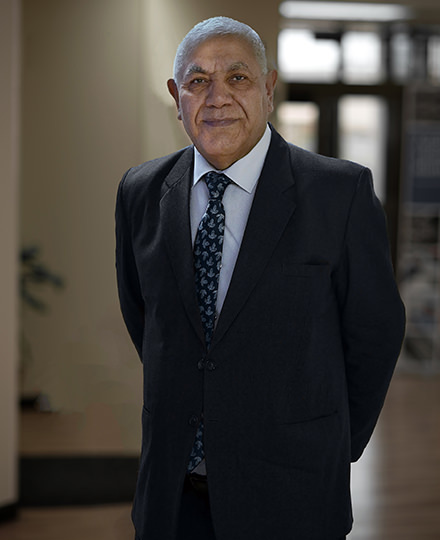 He brings a wealth of experience as a board member of GARMCO as he’s been a member of the Ministry of Higher Education and Scientific Research for more than 25 years. Prior to this role, worked in the Accounts department for the Ministry of Finance in Iraq. Dr. Kashani started his career as an Accountant and then promoted to a Manager in the Research department of the Ministry.